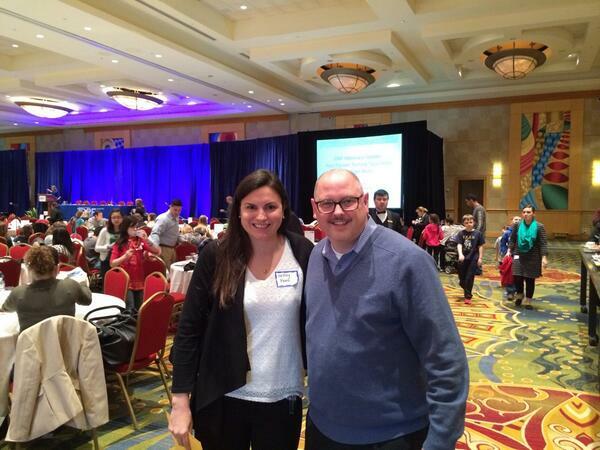 People are talking: #JDRFSummit Part Three. Saturday I was one of the many at the extremely well-attended JDRF TypeOneNation DC Research Summit, in suburban Washington. Lots of updates on research all over the diabetes spectrum, and a chance to interact with some of the attendees. Including one I was able to meet for the first time. There was an awful lot packed into one day, so I’ve broken it out into three days of posts. Monday, I covered the morning’s presentations. Yesterday, I covered the afternoon talks. Today, my interactions with summit attendees and a DOC meetup! Kelley Kent writes over at Below-Seven.com. I got to meet her and her husband Chris. Kelley has a great story to tell, and she’s a beast of an athlete. In the last year alone she’s completed a 5K run, an 8K run, a 10K run, a 10 miler, a triathlon, and 2 half marathons. All while spending her 20th year living with diabetes. In fact, Kelley is our 9th Champion Athlete With Diabetes medal winner! Look for her story here soon. 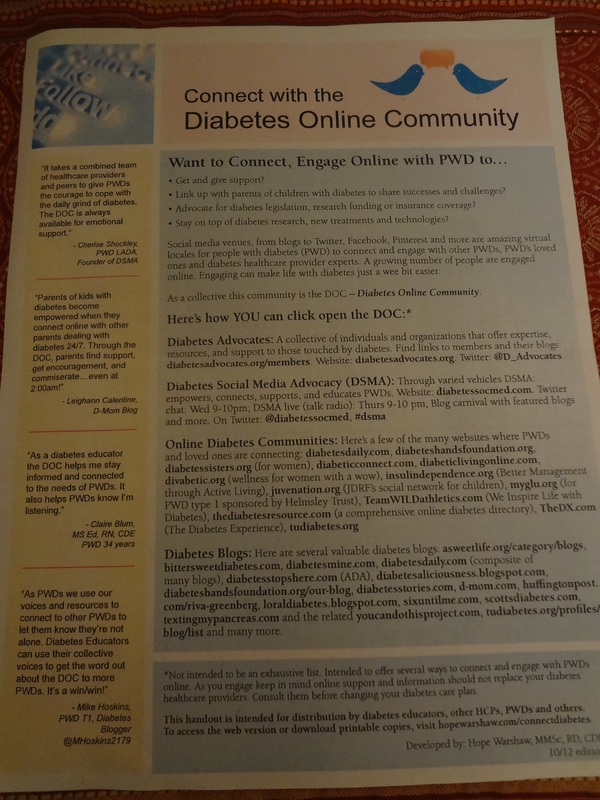 You’ll often see Kelley on the Wednesday night #DSMA chats on Twitter, and she’s one of the most friendly and supportive members of the DOC (Diabetes Online Community) that I know of. If you don’t know her, you should reach out. You’ll be happy you did. I really wish that I had spent more time with Kelley and Chris. But that’s my problem, not yours. There were a couple of conversations I had on Saturday, right at the table where I was sitting. To my right was a person, around Kelley’s age, living with Type 1 and planning a long, 5 day climb this year. Big trip. She expressed some worries about how to maintain a good balance with her BGs while working so hard on the climb. I turned my iPad toward her and pointed at Kelley on my Twitter feed. “This person here?… This is Kelley. She’s here in the room today. She’s an amazing athlete. She’s completed a number of events in the past year, and I’ll bet she could give you some great advice”. Then I downshifted into the “there are thousands of D-people online, and there’s always someone who’s gone through what you’re going through who could help you a lot” elevator speech. She quickly wrote down Kelley’s Twitter info and put it in her purse. See what I did there? I just made the diabetes community bigger. Kelley, I hope she reaches out to you very soon, if she hasn’t already. To my left Saturday was a family… Mom, Dad, and their daughter, in her early twenties. The daughter was sitting directly to my left. Unfortunately, Dad was a little too eager to give details about his daughter, and how she’s managing her diabetes. He couldn’t seem to understand why it was so hard for her. I had to remind him that diabetes is always hard, even on the good days. And even if we do everything exactly the way we’re supposed to, we’re just one forgotten bolus, or one bad infusion set away from a high BG. I definitely had the “A1c is just a number, a reference point” discussion. I told him how the important thing is to use what you’ve experienced to help you in the future, but also to concentrate most on doing the best you can from this point forward. At one point while we were talking, I pointed at the flyer she had with all of the other things she collected that day. I said, “Do you ever go online and visit any of the places on that handout?”. She had not. Hadn’t heard about any of it. As I looked at her, I could see myself a few years ago, feeling lost, feeling alone, feeling like whatever my life was like then was how it was going to be, and that’s that. Overwhelmed by the diabetesness of it all. I mentioned some of the places I thought she might find useful, but I also remember telling her that just about anyplace mentioned on that flyer would be a great place to start. I told her to reach out… people will respond and support her, because there isn’t anyone online who hasn’t gone through what she goes through every day. And I told her how the Wednesday night #DSMA chat is often the highlight of my week. Hopefully, I didn’t come off as some sort of old guy nut going on about things she doesn’t care about. I hope she finds a place where she feels like she belongs. I know that place is out there for her in our community. You know, I think that’s the first time I’ve ever had conversations like that with other PWDs. Every so often, you need to get out from behind your PC or mobile device and sit down with people who understand you, and who can remind you what’s important, and who can help you remember that you’re not the only one out there, and it’s okay to support and encourage. It’s been a cold winter in the Mid-Atlantic. I was glad to have found a bit of warmth on the first day of March. « People are talking: #JDRFSummit Part two. Aw, I loved hearing the stories about the people at your table. I somehow missed that flyer!! Was it in your bag or at one of the vendor tables?? I hope she does reach out to me! Connecting in the DOC is so amazing.